These replacement seat covers are only for the Chevy Camaro Convertible model for the 1969 model year. Made with Madrid Grain Vinyl. It is the same material GM Used Originally. 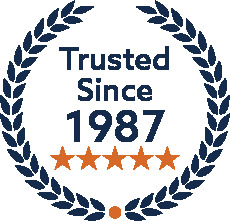 TMI Products include a limited lifetime warranty: cloth products include a 1-year warranty. These replacement Seat covers are for the 1969 Chevy Camaro Convertible models. Manufactured to factory specifications and workmanship. These replacement Vinyl Seat Covers and are the Full Set (Front and Rear) or Front Only for the 1969 Chevy Camaro Convertible models with BUCKET seats. Full Set includes a total of 8 pieces of upholstery: Upholstery for two complete front seats, Upholstery for one complete rear seat and upholstery for 2 headrests. Note: TMI Upholstery requires the use of stock or stock-type seat frames. TMI Products Seat Foam or Stock padding is also required and sold separately. New seat foam is required when reupholstering the front bucket seats to get the best fit and finish. 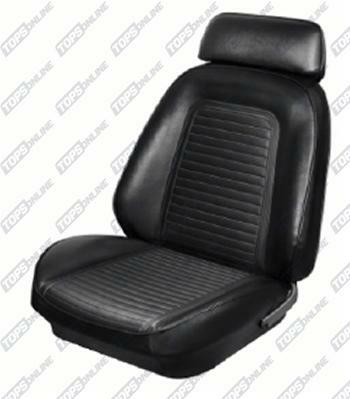 Scroll down to purchase front bucket seat foam. These replacement Vinyl Seat Covers and are the Full Set (Front and Rear) -or- Front only -or- Rear Only for the 1969 Chevy Camaro Convertible models with BUCKET seats. These replacement Vinyl Sport Seat Covers and are the Full Set (Front and Rear) or Front Only for the 1969 Chevy Camaro Convertible models with BUCKET seats. With extra bolsters around the thigh and backrest, these sport seats keep you locked in place for those more spirited drives. Note: TMI Upholstery requires the use of stock or stock-type seat frames. TMI Products Seat Foam is also required and sold separately. 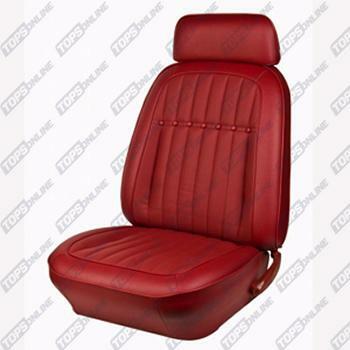 These replacement Deluxe Vinyl Sport Seat Covers are the Full Set (Front and Rear) or Front Only for the 1969 Chevy Camaro Convertible models with BUCKET seats. These seats feature a deluxe vinyl with a sierra grain finish, and either deluxe comfortweave inserts or Houndstooth inserts. These replacement Vinyl Sport II Seat Covers and are the Full Set (Front and Rear) or Front Only for the 1969 Chevy Camaro Convertible models with BUCKET seats. Sport II seat covers are an updated and improved version of the TMI Camaro sport seat covers. These Camaro Sport II seat covers feature the exact styling elements and materials as the stock replacement 1969 Camaro seat covers, but feature more aggressive bolstering and padding for a more comfortable, contoured seat. These seats feature a deluxe vinyl with a Madrid grain finish, and either deluxe comfortweave inserts or Houndstooth inserts. 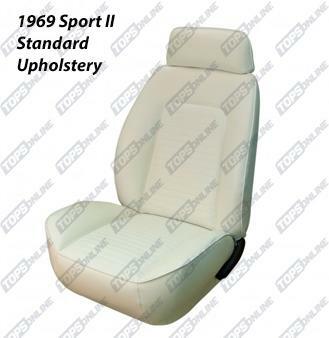 These replacement Vinyl Sport R Seat Covers and are the Full Set (Front and Rear) or Front Only for the 1969 Chevy Camaro Convertible models with BUCKET seats. 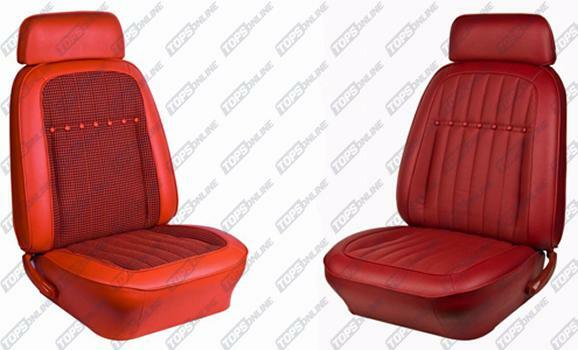 These replacement Deluxe Vinyl Sport R Seat Covers and are the Full Set (Front and Rear) or Front Only for the 1969 Chevy Camaro Convertible models with BUCKET seats. These replacement Premium Vinyl Sport Seat Covers are the Full Set (Front and Rear) or Front Only for the 1969 Chevy Convertible models. It is an upholstery set used to transform the dull, unsupportive factory 1968 Seats into the Sport XR race style seats to keep you planted in those high G corners. This Upholstery REQUIRES a 4 piece high bolstered foam kit that is applied directly to the factory seat frames. Seat Foam Sold Separately. These Sport XR upholstery sets have Vinyl Bolsters with Premium Black Vinyl (matte finish to vinyl) Back and Sides and High-Quality Black UniSuede Inserts. It also has Contrast Stitching throughout & the color seen behind the grommets matches the contrast stitching. The grommets are available in stainless steel or satin black. These seats feature the Stainless Steel Grommets. Please scroll down for the satin black grommets. Sport XR Upholstery is also available with Brass Grommets, please inquire. The grommets are available in stainless steel or satin black. These seats feature the Satin Black Grommets. Please scroll up for stainless steel grommets. Sport XR Upholstery is also available with Brass Grommets, please inquire. 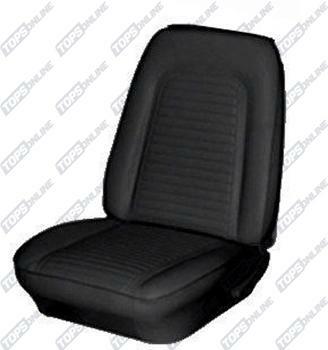 These replacement Premium Vinyl Sport Seat Covers are the Full Set (Front and Rear) or Front Only for the 1969 Chevy Convertible models. It is an upholstery set used to transform the dull, unsupportive factory 1969 Seats into the Sport X race style seats to keep you planted in those high G corners. These Sport X upholstery sets have Vinyl Bolsters with Premium Black Vinyl (matte finish to vinyl) Back and Sides. It also has Contrast Stitching throughout & the color seen behind the grommets matches the contrast stitching. The grommets are available in stainless steel or satin black. These seats feature the Stainless Steel Grommets. Please scroll down for the satin black grommets. Sport X Upholstery is also available with Brass Grommets, please inquire. The Major difference between the Sport X and Sport XR upholstery is that the Sport X DOES NOT have the High-Quality Black UniSuede Inserts like the Sport XR does. The grommets are available in stainless steel or satin black. These seats feature the Satin Black Grommets. Please scroll up for the Stainless Steel grommets. Sport X Upholstery is also available with Brass Grommets, please inquire. These Hog Rings and Hog Ring Pliers Kit is for use when installing replacement seat covers. This set of hog rings and hog ring pliers is a kit which is used to install replacement seat covers.